Wasps are essential to the natural environment and function at their highest level during the summer months. Wasps eat arachnids and a lot of pest insects, such as ants or caterpillars, sometimes by laying their eggs on or inside other insects or spiders that are eaten by newly hatched wasp larvae. Just like bees, wasps aid in the pollination of plants. 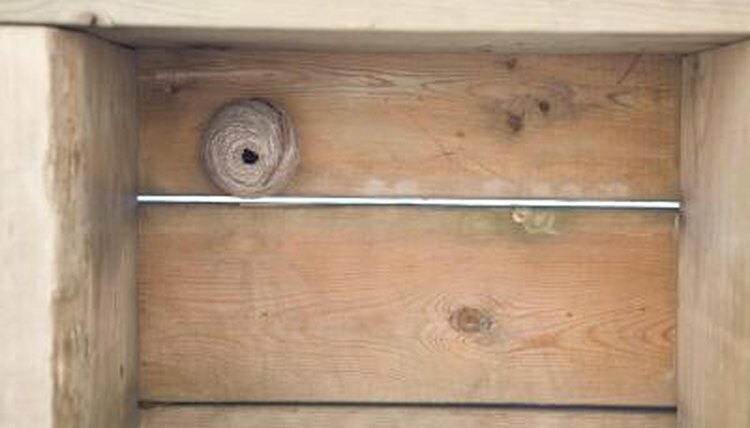 April is the month when the young queen wasps awaken from their winter slumber and begin to build nests, made from chewed up wood fibers mixed with saliva. The queen populates the nest with workers hatched from eggs she fertilized with sperm she collected the previous autumn. These eggs hatch into infertile female worker wasps who assume the job of building the nest larger and creating new cells for the queen to lay her eggs into. In May, the queen continues to lay eggs into the individual cells, which hatch into larvae and are fed insects by worker wasps. During the first part of the month, the second group of hatched larvae pupate into adult workers. This process takes place repeatedly over the remainder of the summer. By the end of May, the first workers have been joined by dozens of others who help build the nest and take care of the larvae. During June and July, the wasp nest reaches peak activity levels and the nest continues to grow in size. By July, many hundreds of wasps have been raised to adulthood in the nest and hundreds more are resting in their eggs or are recently hatched. These hundreds of adult worker wasps travel outside the nest each day to find food in the form of caterpillars and other insects to feed the larvae inside the nest. During the months of August, September and October, the wasp activity is beginning to wind down, with workers dying and the queen slowing down her egg laying. During those months she lays eggs that hatch into fertile males and females, rather than the infertile female workers she previously hatched. The queen dies during this time and the young queens mate with the fertile males and fly off. The fertile males are the last to die.